Celebrating its tricentennial anniversary in 2018, San Antonio, Texas, is as important today as it was 300 years ago. Vibrant and cosmopolitan, this cultural and culinary capital is most famous for the Battle of the Alamo – the pivotal event that shaped Texas’ history and continues to fascinate today. So let us guide you through this proud city, just two-and-a-half hours from the US-Mexico border, and its most famous landmark. After paying a visit here you’ll no doubt find your own reason for the long-lasting battle cry of ‘Remember the Alamo’. Before it became known as a battleground, the Alamo was a Spanish Mission. 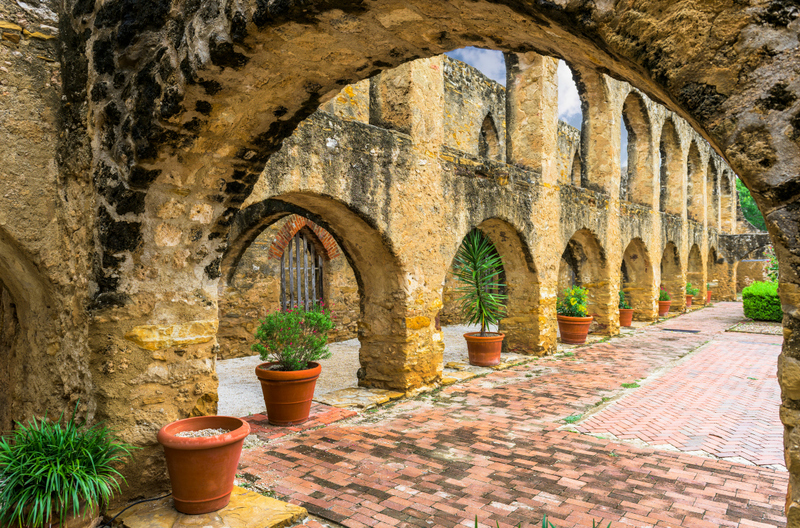 Built in 1718 by Spanish settlers, the Misión San Antonio de Valero hosted missionaries and Native American converts until 1783, when the mission – along with four others in San Antonio – was secularised. In the early 19th century, Spanish troops moved in, to be replaced by rebels, then Mexicans, during Mexico’s war of independence from Spain. In the meantime, American families were moving in, ultimately leading to Texas’ own fight for independence from Mexico. In December 1835, Texan volunteers overthrew the Mexicans and captured the Alamo. It’s here where Davy Crockett, William Barret Travis and James Bowie, along with a couple of hundred defenders, valiantly fought – and died – as Mexican forces battled to retake the Alamo, and the rest of Texas. While many of the facts are still disputed to this day, the brutal death of all the Alamo defenders became a rallying cry for the Texan Revolution that followed. At subsequent battles, the shout of ‘Remember the Alamo’ would go up, seeking freedom and revenge. Today, the Alamo is owned by the people of Texas and is open to everyone, with tours detailing its history and the different perspectives on the events that unfolded here. It’s a place of pilgrimage and a shrine to sacrifice, making it ideal for history buffs and those wanting to understand the American psyche, and how that made the US the place it is today. As well as delving into the mission’s history and the eponymous battle, you can also learn about what happened in the years that followed, and how the states came together after Texas won its freedom. A new museum and visitor centre are also being planned, built around a recently donated collection of Alamo artefacts and Texana collected by the musician Phil Collins. The five missions dotted along the San Antonio river are collectively listed as a UNESCO World Heritage Site and they make for a great tour by hire car, with many open to the public. Along with the Alamo, there is also Concepcion, San Jose, San Juan and Espada, which was the very first. The missions were irrigated by an aqueduct – the acequia – which can still be seen today. It can be a truly beautiful experience, and the National Park Service has plenty of information on how to see them all. 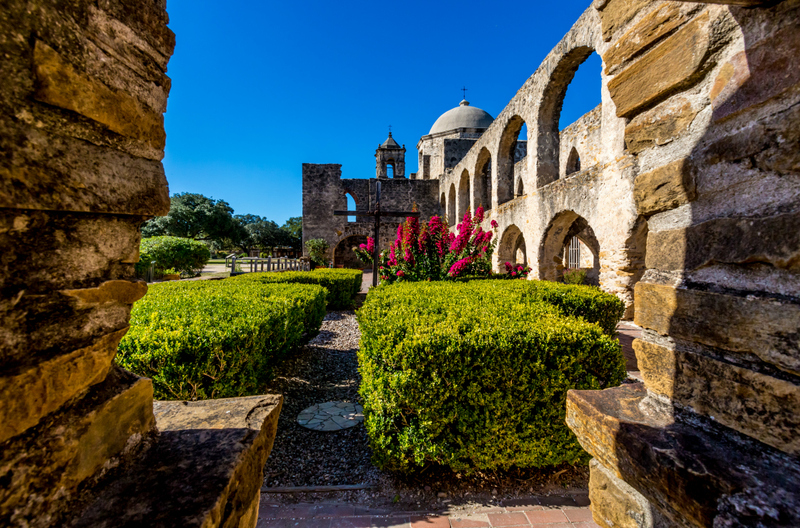 Away from the missions, it’s worth taking your time to soak up the sights of San Antonio. The 15-mile River Walk is popular for a reason – it’s relaxing, and gives you the chance to dart off into a variety of museums. You can visit the King William Historic District, take a breather in parks, and – of course – tuck into the local Tex-Mex fare. This combination of the best of Mexican and Texan food involves plenty of grated cheese, meat, beans and spices. San Antonio is part of the UNESCO Creative Cities Network, and is a designated Creative City of Gastronomy – so you won’t go hungry. Whether you’re taking on a taco, or discovering more about this city’s place in American history, a visit to the Alamo will help you understand why. 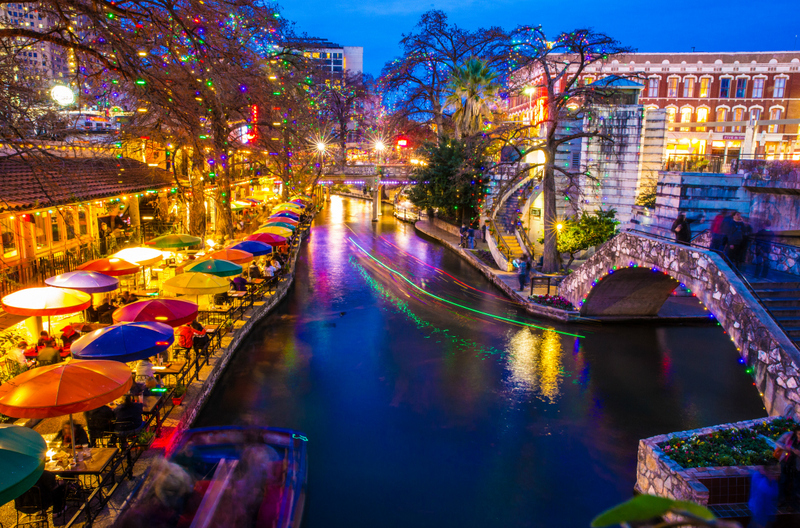 With car hire in San Antonio you can explore all the city’s key historic sites and really make the most of this wonderful area.